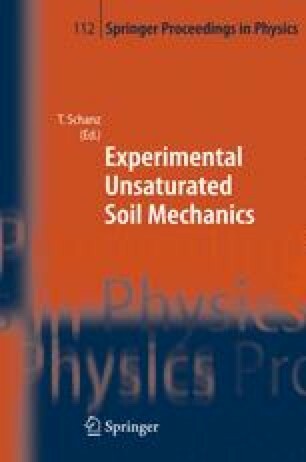 The measurement of soil parameters for the unsaturated soil constitutive models needs extensive laboratory tests. For most practical problems, it has been found that approximate soil properties are adequate for analysis. Thus, empirical procedures to evaluate unsaturated soil parameters would be valuable. The soil–water characteristic curve (SWCC) can be used to estimate various parameters used to describe unsaturated soil behavior. The SWCC is a relationship between soil suction and some measure of the water content. It can be measured or predicted based on soil index properties. Estimation based on index properties is highly desirable due to its simplicity and low cost. In this paper, a new model for predicting the SWCC based on soil index properties and Van Genuchten equation is presented. The comparisons show that the SWCC predicted by this model is in a good agreement with the experimental results.